As you may know, I’m a humongous fan of Graham Cochrane and The Recording Revolution website. Graham and I have even teamed up for the Simply Recording Podcast (which you need to check out if you haven’t yet). However, if there’s NOTHING else you read/watch for the month of January, you must check out Graham’s latest iteration of his wildly popular 5 Minutes to a Better Mix. For the entire month of January, Graham will be posting one video a day to help you get better mixes. Each of these videos will be no more than 5 minutes. The idea is to give you a bunch of new ideas to try on your mixes. 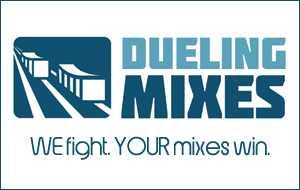 Mixing is all about trying things, experimenting, building up an arsenal of tools and tricks. But sometimes it’s hard to figure those things out by yourself, mixing like crazy in your studio. Getting outside opinions and ideas can really jumpstart your growth as an engineer. Seeing how someone else approaches a similar task can open your eyes to all sorts of new creative options. That’s why you’d be stupid not to subscribe to Graham’s site and soak up every one of these tips. It’s all over at his website.